I can't afford a new door so how can I repair it. Put little wooden screw or small nails/studs into the wooden door and apply the m-seal on it with mixture of wood powder, and colour it with same paint. Not the answer you're looking for? Browse other questions tagged repair wood doors or ask your own question. 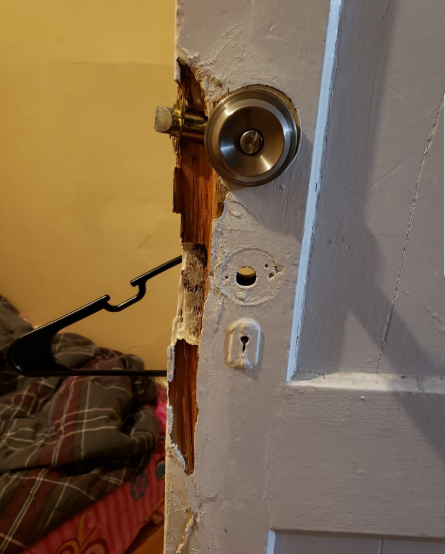 How can I repair this door and deadlock? How do I fix a loose door frame? How to fit a new door in a narrower frame? How to install an electronic door lock? Can I make a pre-hung door jamb narrower? 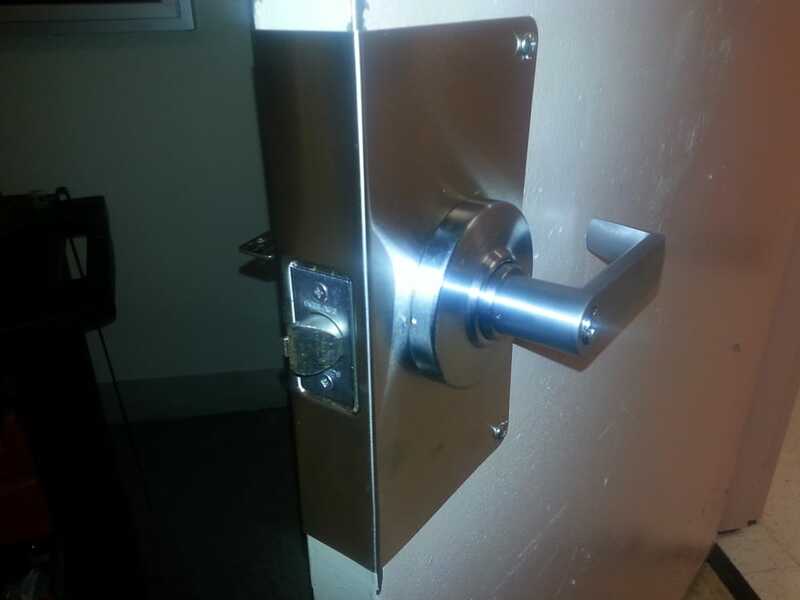 How to install deadbolt into a thin door? How can I secure an outwardly opening front door?